In celebration of Singapore’s 52nd birthday, honestbee is giving away 52 return flight tickets to either Hong Kong, Taipei, or Bangkok in the month of August. Details below! A self-proclaimed travel foodie, I go to great lengths for great food. Having an adventurous palate opens up an exciting world ahead for me to explore. While I enjoy trying weird delicacies like chicken tail, balut, and fried insects when I’m overseas, what I actually like is eating what locals eat. Through food, I get an idea of the tastes of locals, their cultures and cooking traditions. It is also the easiest and fastest way to immerse myself in a foreign country. 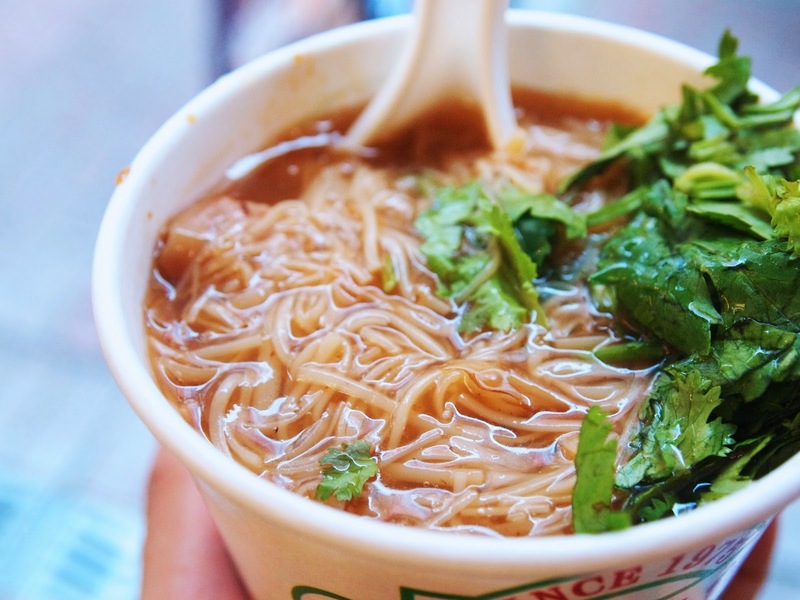 Here are eleven of iconic dishes around the world which I personally love, a lot. A lot. ? Credit: Star Kitchen. Dim Sum. These bite-sized delicacies can be enjoyed any time of the day, from breakfast to supper. Whenever I have the chance to travel to Hong Kong, I’ll make it a point to visit a traditional Cantonese tea house, where staff push around dim sum trolleys and stamps on your order chit for the dim sum you chose. These days, numbers of such traditional tea houses are dwindling due to a shift in taste among the younger generation to hipster cafés. My favourite is Lin Heung Tea House, located in Central, Hong Kong. First-timers might get a culture shock from the noise and mess happening inside the tea house. Also, it is almost certain that you will have to dine with strangers as table-sharing is a common practice in space-limited Hong Kong. However, the authentic dim sum experience as compared to daintily eating your har gao and siew mai will definitely charm you. The smooth slippery texture of the oyster vermicelli will leave you asking for more. Always generous in their oysters, this iconic Taiwan dish is well-loved by locals and tourists alike. A famous stall in Taipei city did not even have tables or chairs the first time I visited in 2009, patrons simply slurped the noodles while standing on the walkway! When I visited again 2014, there were tables and chairs placed outside the stall, while the crowd of the vermicelli stall got even bigger! “Pho-rociously delicious”. That’s how I remind myself the pronunciation of “pho”. A dish that is very value for money, pho is often served with heaps of beef slices on rice noodles in savoury beef broth, together with some raw vegetables and lime for a balance in taste. My favourite way to enjoy a bowl of pho is sitting on low stools alongside the busy streets of Vietnam, finding comfort in the hot soupy noodles while watching locals zoom by on their scooters. Japanese cuisine has a special place in my heart, probably the only cuisine I can eat all day, every day. And whenever anyone asks me if I have any cravings, I’ll say “Japanese”. Somehow the stomach becomes a bottomless when eating sushi and sashimi, hence Japanese buffets are a great way to entice me and score friendship points with me. While I’m sure I’m not the only person with such an unhealthy obsession with Japanese cuisine, at least I know the salmon sushi I’m stuffing my face with is healthier than the briyani craving I almost succumbed to. A dish born during trying times when food was scarce, the Army Stew was created when Koreans tossed in any food scraps they could find during war time into a big pot. From processed American food such as sausages and luncheon meat, to bits and pieces of Korean vegetables, this Korean dish definitely has ingredients uncommon to other traditional Korean delicacies. This war-time dish is still very popular in Korea today. On cold winter nights in Korea, locals and tourists huddle in small family-run restaurants and chomp down pots of piping hot army stew with their family and friends. A comfort food for Filipinos, many tourists in The Philippines might find the Kare kare an unusual dish because of one ingredient used, peanut butter. But a taste of this savoury dish is all you need to be a convert of this rich and tasty stew. Originated in Thailand, Tom Yum Goong is now a ubiquitous dish in Singapore. This aromatic, sour and spicy soup comes in either milk-based or clear. I prefer the latter, just because it feels less sinful without the coconut milk (LOL, who am I kidding). Singaporeans are adventurous foodies, we often find comfort when eating the spiciest food Tom Yum Goong on the hottest days. Well, Singaporeans really like Thailand, we do not only love her for her food, but also the bountiful activities she offers. Often mistaken to be a type of ingredient, Tandoori is actually a cooking method that incorporates a tandoor (clay oven). Spice-marinated meats cooked tandoori-style will hence be tender and juicy. Tandoori Raan is roasted mutton leg, and is enjoyed with unsweetened plain yoghurt. Credit: Expat Explore Travel Ltd. The highlight of a pizza is not what topping it comes with, but how well the dough is done. Renowned chef Mario Batali once said the following about a pizza, “The bread being the story, the sauce being the condiment”. A food commonly eaten during gatherings and parties, the convenience of eating pizzas made it one of the most popular food delivery ordered in Singapore. French cuisine is not limited to only cheese, baguette and escargot, their onion soup is another distinctively French dish that is adored by many. Caramelised onions give the soup a tinge of sweetness to it, balancing the tastes of a French meal which can be heavy on the meat. Another comfort food for many Singaporeans who are constantly in a rush. Rushing to work, rushing to school, rushing to meet Tinder date, rushing home to watch that Korean drama. In an ever-rushing society, the hamburger has become a staple food for many of us. Hungry? But No Chance to Travel? It’s every foodie’s dream to travel and eat our way around the world. While we do not always have the chance to travel, we can still get a taste of food from all over the world through honestbee FOOD‘s delivery services! The aforementioned dishes are all available for purchase through honestbee FOOD. In celebration of Singapore’s 52nd birthday, honestbee is giving away 52 return flight tickets to either Hong Kong, Taipei, or Bangkok in the month of August! 2) Go to honestbee’s Facebook Contest Post and share what you love most about Singapore in the comments section with your order #. The most creative 26 entries will win! *Do note that a minimum basket size of $15 (before promo) is required to enter the contest. T&Cs apply. p.s. New users get an additional $10 off $20 on their first order. Simply use discount code . Valid till 30 Sept 2017.